But hurdles remain despite high demand, including fierce competition and rising fuel costs. The demand for airports is driven, in part, by new affluence in second- and third-tier cities. The prime selfie spot for residents of this central Indian city isn't its decaying 16th century royal fort or its world-famous marble market. It's the terminal at Kishangarh Airport in Rajasthan - a small, low-slung building that offers a new gateway to the world. Air travel from the dusty boom town has become cheaper than renting a car, Devi Singh, a 77-year-old retired soldier from Kishangarh, told his friends over tea one recent morning, discussing the $35 no-frills one-way fare to New Delhi that launched last month. "Even the sweepers can afford to fly now," he said. Kishangarh is one of 34 airports opened in the past 18 months in India, whose aviation sector has exploded in the wake of massive economic growth. In September, the civil aviation minister said $60 billion has been budgeted for 100 more in the next 10 to 15 years. As millions of newly wealthy Indians take to the skies for the first time each year, the country is scrambling to transform colonial-era airstrips into plush airports, and suddenly stretched airlines are investing in new planes and recruiting foreign pilots. "In the 70 years since independence, just 400 planes were serving us," said Prime Minister Narendra Modi as he unveiled an airport cut into the Himalayan mountains at Pakyong, in Sikkim state, in September - his second such opening that month. "In the past year alone, airline companies have ordered 1,000 new airplanes." A relative blip at the turn of the millennium, India's aviation market has become a juggernaut. In October, its airlines marked 48 consecutive months of double-digit growth in traffic, according to the International Air Transport Association (IATA). By 2024, IATA estimates, India will rank behind only China and the United States in terms of air traffic to, from and within the country. "Twenty years ago, India's market was so minuscule, it barely even figured in," said Dinesh Keskar, Boeing's senior vice president of sales for Asia-Pacific and India for commercial planes. "In the near future, we think one in 20 planes will be sold to India." The demand for airports is driven, in part, by new affluence in second- and third-tier cities such as Kishangarh. In the 1990s, the small, family-run marble companies here turned into multinational corporations, generating wealth that lifted the whole population. Even as it retains its sleepy, small-town vibe, the city draws billionaires' wives, cricket champions and television stars looking to decorate homes, temples and malls - and who now arrive for their marble-shopping visits on chartered private planes or helicopters rather than by car or train. Traders anticipate that the new commercial air connection to Delhi will bring even more customers wanting marble tiles for walls and floors. A single 78-passenger flight should bring an additional $400,000 a day in revenue, according to Suresh Tak, president of Kishangarh's Marble Association. Only two weeks after the first commercial flight began, the novelty of the airport was already wearing off for residents and the possibilities sinking in. "What we really need now is a flight to Mumbai," said one of Devi Singh's soldier friends, sipping tea. "No, we want Kishangarh to Jaipur in 15 minutes," said another. Such surging demand should in theory lead to profits for India's airlines. In practice, though, the companies are struggling to cash in because of a combination of surging fuel prices, a weak rupee and fierce competition that keeps ticket prices low. 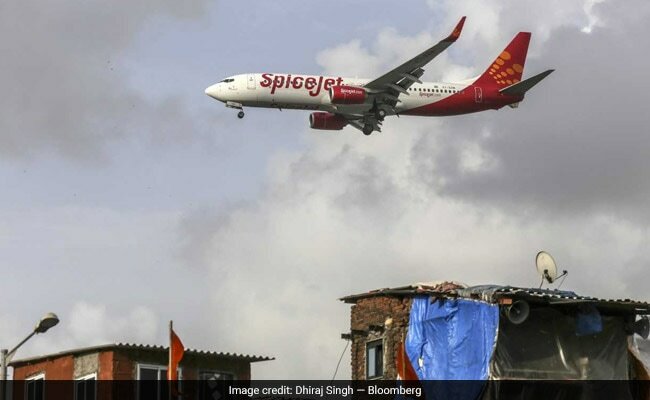 "All this talk of India as the third-largest aviation market may not happen, because the infrastructure may not be able to come up," said aviation journalist Neelam Matthews. In July, share prices of InterGlobe Aviation, the parent company of India's biggest airline, IndiGo, plunged 10 percent when it announced quarterly results showing a 97 percent dip in net profits since the previous year. SpiceJet, another big-brand budget carrier, announced net losses of $5 million in its June quarter. Despite the cash crunch, big airlines are under government pressure to expand services even on financially risky routes. In 2017, PM Modi, eager to promote affordable aviation as part of a huge package of social improvements, launched the Regional Connectivity Scheme, which aims to connect small Indian towns to the aviation map through subsidized new routes. The program is one element of the prime minister's broader infrastructure push - it also includes a $17 billion bullet train and 53,000 miles of new roads - showcasing India's gleaming modernity in a scramble for global superpower status. But in the aviation sector, at least, those lofty ambitions have been accompanied - and tempered - by disarray. Air Deccan and Air Odisha, which collectively bagged 84 of the 128 contracts offered in the first phase of the new connectivity program, canceled more than half their flights in September, according to the Directorate General of Civil Aviation (DGCA). Embarrassingly, one of the airports PM Modi personally inaugurated in September, in the industrial town of Jharsuguda, had flights for only two weeks before abruptly halting operations. An official at the Airports Authority of India, who spoke on the condition of anonymity because he is not authorized to speak to the media, said the flights were stopped because of internal problems at the airline, Air Odisha, and would be resumed soon. Meanwhile, as small towns struggle to set up new routes, major airports are beset with delays and cancellations. Mumbai airport, India's busiest, reported delays on one in four of its domestic flights in September, according to the DGCA. And like New Delhi's airport, it is running out of landing slots, making it impossible to add new routes. For the millions of Indians being initiated into their country's new aviation era each year, the experience can be chaotic and unglamorous. But for Gyana Devi, a 51-year-old schoolteacher flying for the first time on a wobbly Bombardier to her hometown of Kishangarh, it is also magical. "I will show everyone at home," she said as she filmed a video of her first time above the clouds.